Hendrick Motorsports announced today that ultra-popular NASCAR Cup Series driver Dale Earnhardt Jr. will be retiring after the 2017 season. Earnhardt is one of the series’ consistently most high-profile drivers, but recently had to sit out much of last season due to a concussion. 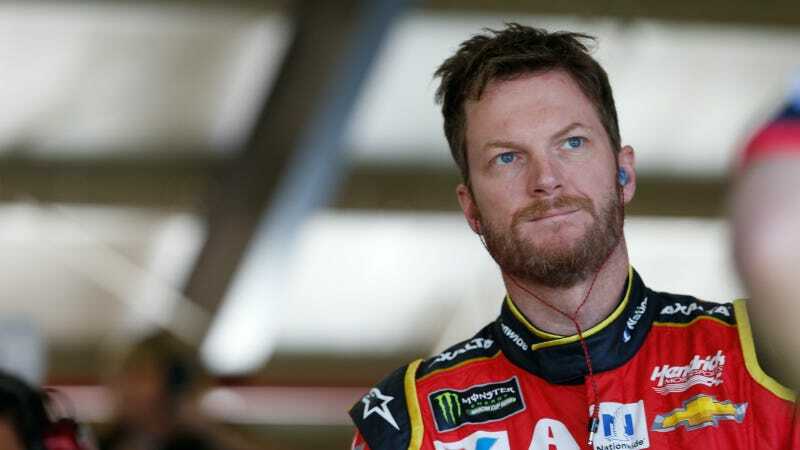 Earnhardt shared the news with his Hendrick Motorsports team this morning, according to a team press release. He first met with team owner Rick Hendrick on the subject of a possible retirement on March 29, but has been keeping that decision under wraps until now. Dale Earnhardt Jr. is the son of NASCAR legend Dale Earnhardt. Junior’s retirement comes after 26 Cup Series wins in 603 races after entering NASCAR’s top-level Cup Series in 1999, at age 24. His career includes two Daytona 500 wins in 2004 and 2014 and two championships in what is now known as the NASCAR Xfinity Series. Dale Jr. has spent 18 full-time seasons in the NASCAR Cup Series. Dale Earnhardt Jr. has also been voted the series’ Most Popular Driver a record 14 times. Recently, Earnhardt has put his popularity to good use, becoming an outspoken advocate for better concussion care for drivers. Earnhardt will elaborate on his decision to retire in a press conference alongside Hendrick Motorsports team owner Rick Hendrick this afternoon, per the team’s statement. Earnhardt has driven for Hendrick since 2008. His final race in NASCAR’s Cup Series will be on Nov. 19 at the season finale at Homestead-Miami Speedway.